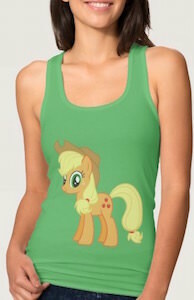 If you are looking for a fun Applejack tank top for the summer then this My Little Pony shirt is just what you need. The women’s tank top is available in many fun colors and all shows a picture of Applejack just like we know it from the My Little Pony cartoons and yes of course the hat and cutie marks are all there because other wise it would not be a true Applejack shirt. 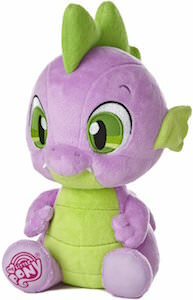 You can get this My Little Pony tank top in sizes Small – 2XL for that perfect fit. And even when it’s to cold to just wear a tank top then you can always match this Applejack top with a fun jacket or cardigan.